Nilanjan Dutta is a journalist and human rights activist based in Kolkata. 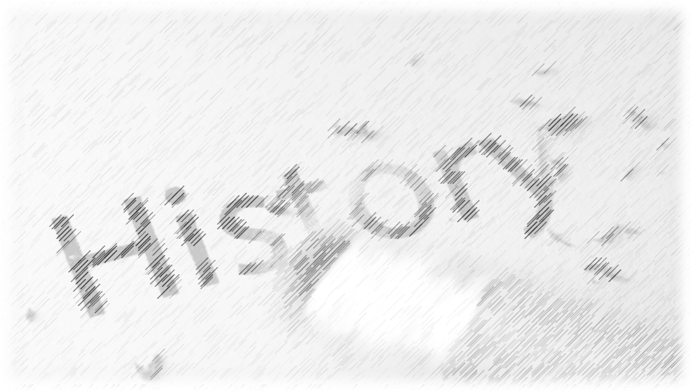 Writing and rewriting history are primeval pursuits of human beings. Not all human beings, maybe, but at least those who care for power. The ones in power believe that the past can provide them with some displayable justification for their hegemony. Those who do not possess power but aspire to do so may also take recourse to history to back up their claim. History is not an archive of bygone facts. It is a story weaved by craftily picking up threads from the past to suit one’s purpose for the present. In the course of this exercise, the body of the past becomes highly contested. Everyone takes part in this contest – from Alte Left to Alt Right. Only, the former are too shy to admit it. They do not seem quite comfortable to stare at the blank spaces in group photos from which they have airbrushed the faces of their former comrades. They do not like to discuss in much detail when and how these old guards of the revolution became renegades and agents of imperialism. The pangs of a ghost conscience seem to chase them, however hard they try to exorcise it. Those on the Right are more forthright in this respect. They not only acknowledge that they want history tailored to their taste, but even emphasize that that is how history should be written. So, if we wish to understand the tricks of this trade, it is better to pay attention to what the Right says. We would like to recommend the contemporary discourse in India as a lucid lesson: “Rewriting is part of the writing of history,” said the chairman of the Indian Council of Historical Research (ICHR), Arvind Jamkhedkar, in an interview with the Press Trust of India on April 15 this year. “History has always been rewritten and it is a healthy thing because there have been exaggerations,” he explained. The latter task is instead taken care of by a non-official Alt-Right body called the Shiksha Sanskriti Utthan Nyas (educational and cultural uplift trust). It has sent a set of recommendations regarding the revision of textbooks for schoolchildren to the National Council of Educational Research and Training (NCERT). 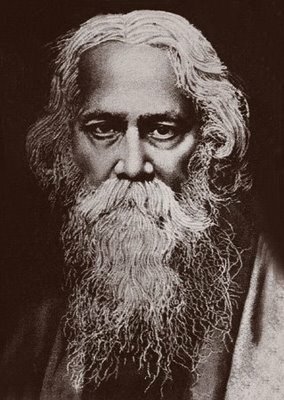 The recommendations, as reported in newspapers, notably call for the removal of English, Urdu and Arabic words from Hindi textbooks, the views of poet and thinker Rabindranath Tagore on nationalism, and extracts of artist M.F. Husain’s autobiography. References to the Mughal emperors as “benevolent,” the ruling Bharatiya Janata Party (BJP) as a “Hindu” party, and the Kashmir political party National Conference as “secular” are also sought to be expunged. But the ire is not always directed towards Christian or foreign authors. Following agitation by the Alt Right, the Delhi University was forced to remove renowned Indian poet and scholar A.K. Ramanujan’s essay, “Three Hundred Ramayanas: Five Examples and Three Thoughts on Translation” from its history syllabus in 2008. Another organization floated by the Right, called Shiksha Bachao Andolan Samiti (which translates roughly as “save education movement association”), has been mounting pressure directly on the National Council of Educational Research and Training for sanitizing the curriculum. In 2006, it filed a public interest litigation demanding as many as 70 changes in history and social science textbooks. The Delhi high court directed the National Council to form a committee to study the objections. The committee accepted some of them. The right-wing establishment has been trying for decades to mould the minds of school-going children in such a way as to make them vulnerable to its preaching. Having seen several reputed academic bodies and publishers bow before it on earlier occasions, this establishment has naturally become bold and hopeful of having its way. Although some Left and liberal intellectuals dismiss such hopes as the wishful thinking of extremist “fringe” elements, there is cold logic behind every point raised in the right-wing wish-list. There are three major areas in which the Alt-Right think-tanks seek to intervene: language, history and ideology. These are the three core elements that play crucial roles in shaping the young learners’ mental make-up. They determine whether the children might grow up with a largeness of mind or turn into narrow-minded bigots. Every language, at various stages of its development, picks up and assimilates “foreign” or “loan” words that make its vocabulary richer. The move to expunge these words – as envisaged in the proposal to eliminate English, Urdu and Arabic words from Hindi textbooks – is an attempt to make the learners forget about the syncretism that is the very basis of Indian culture. It amounts to cultural cleansing, similar to the racial cleansing attempted by various groups in other parts of the world. Likewise, history is sought to be cleansed of all footprints of cultural assimilation. And we must note that these revisionist proposals seek to obliterate not only the historical episodes of the life and times of Islamic rulers. They also target other episodes that are unrelated to any so-called foreign religion, but simply do not fit into the right-wingers’ scheme of things. 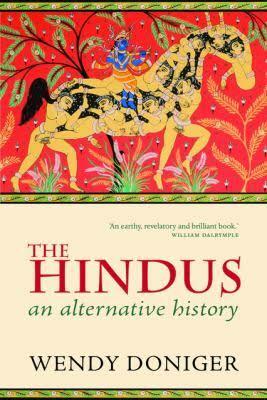 A glaring example is their objection to a chapter on the 12th-century Kannada devotional poet, Mahadevi Akka. According to them, the mention of Akka shedding her clothes as a mark of protest to social injustice is an “attack on Hindu culture in the name of women’s freedom.” Clearly, the target here is women’s freedom, and the aim is to protect not any “culture” – let alone “Hindu” – but the values of patriarchy. The jewel in the crown is the charge that the National Council’s textbook for Class X “places nationalism against other ideals,” asserting that “an attempt” has been made “to show a rift between nationality and humanity by citing thoughts of Rabindranath Tagore.” Ironically, the tirade of our modern-day nationalists echoes the tune of the imperialist reviews of Tagore’s 1917 lectures on Nationalism by war-mongers in contemporary Europe: “Several reviews described the lectures as a poet’s limited perception of current events, stating that Tagore has failed, ‘in his bitter mood’, to comprehend ‘what Nationalism, to an enlightened European Nationalist, really means’.” (Susheila Nasta, India in Britain: South Asian Networks and Connections, 1858-1950). The political civilization which has sprung up from the soil of Europe and is overrunning the whole world, like some prolific weed, is based upon exclusiveness. It is always watchful to keep the aliens at bay or to exterminate them. It is carnivorous and cannibalistic in its tendencies, it feeds upon the resources of other peoples and tries to swallow their whole future. It is always afraid of other races achieving eminence, naming it as a peril, and tries to thwart all symptoms of greatness outside its own boundaries, forcing down races of men who are weaker, to be eternally fixed in their weakness. Such a historical view of nationalism may destabilize the present global order that allows one nation to celebrate the jubilee of its state foundation by massacring another, as other nations stand by like spectators and watch.